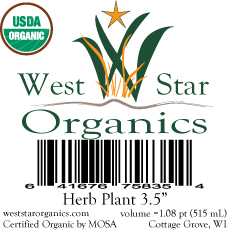 West Star Organics can provide your store front with retail ready spring starter plants. 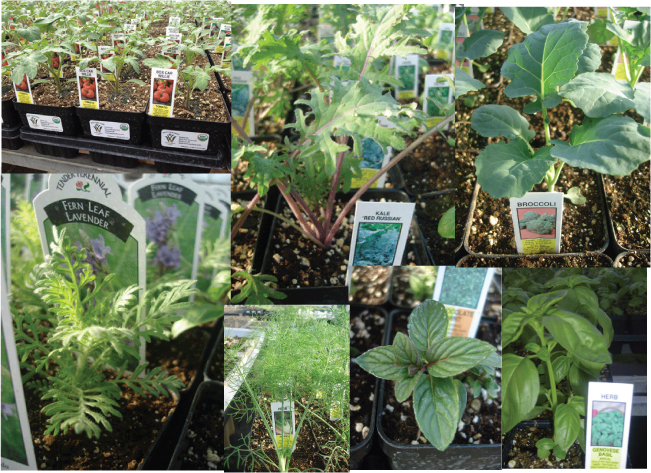 We carry over 200 varieties of certified organic plants to offer you and your customer a wide selection range. Additionally, we offer our potting mix, compost, and blueberry mix bagged and ready for sale. We offer plants in 3.5" pots - 18 per tray. All orders are placed weekly to provide you the flexibility of replenishing based on your sales. We offer weekly deliveries to meet your restocking needs. We will work with your associates on proper care and watering of the plants. Each 3.5" pot is branded providing details. All our plants and bagged mixes come ready for your scanning system. A UPC code is assigned to the each varieties for maximum control over inventory and sales. No need to worry about how to display the plants or storing a display system in the off season, on first delivery we can provide wheeled display racks that holds up to 20 trays each. After the season, we will pick them up and store them. We understand that it would be difficult to order and showcase 200 varieties of plants. To maximize shelf space with variety we offer ordering by 1/2 tray increments. For even greater variety, we also offer mixed trays of popular plants. For example, you can order a basil mixed tray that will include 3-4 varieties of different basils.